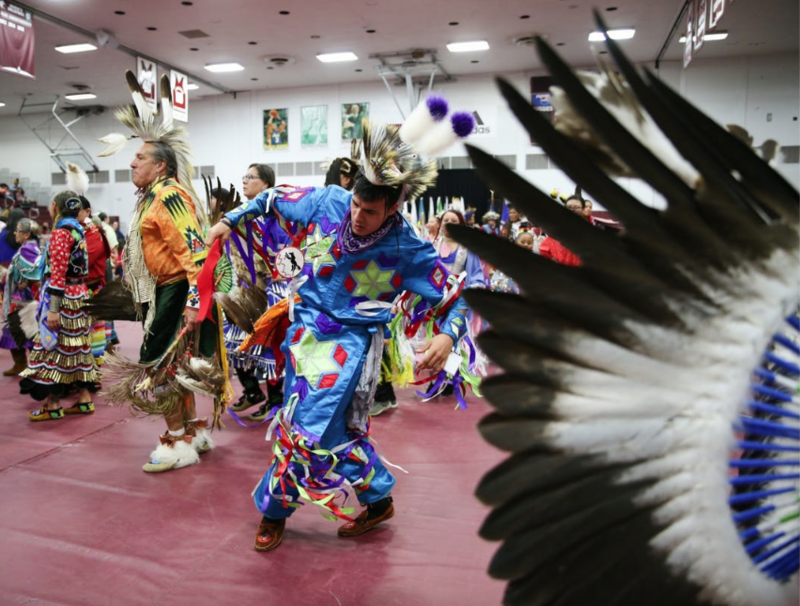 Images from Augsburg University’s 11th Traditional Powwow were featured in a photo essay by the Star Tribune. The photos show various aspects of the powwow, ranging from dances and drumming to fellowship and friendship. The event, cohosted by Augsburg’s American Indian Student Services and Indigenous Student Association, includes food concessions, arts and crafts vendors, and informational tabling about Augsburg’s educational opportunities and services for native students of all ages. Graduating Augsburg American Indian students are also recognized. Visit the Star Tribune’s website to view the photos.